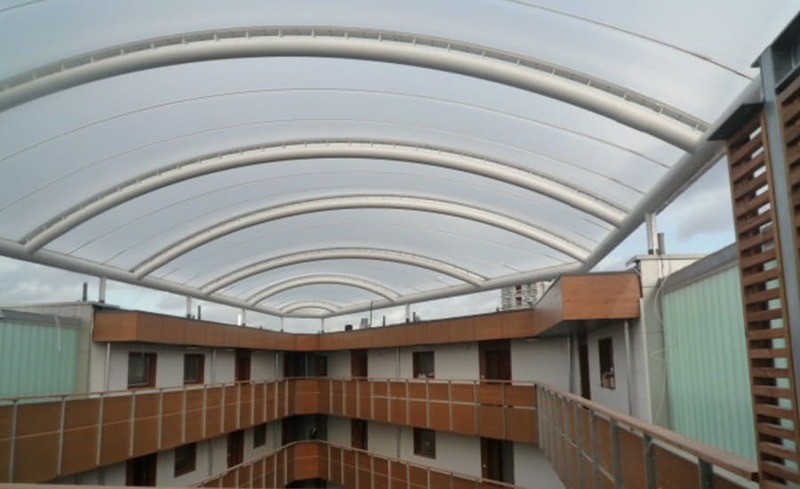 The development of a block of private apartments was the driving force behind architects Levitt Bernstein approaching Architen Landrell to design supply and install a single ply ETFE roof. 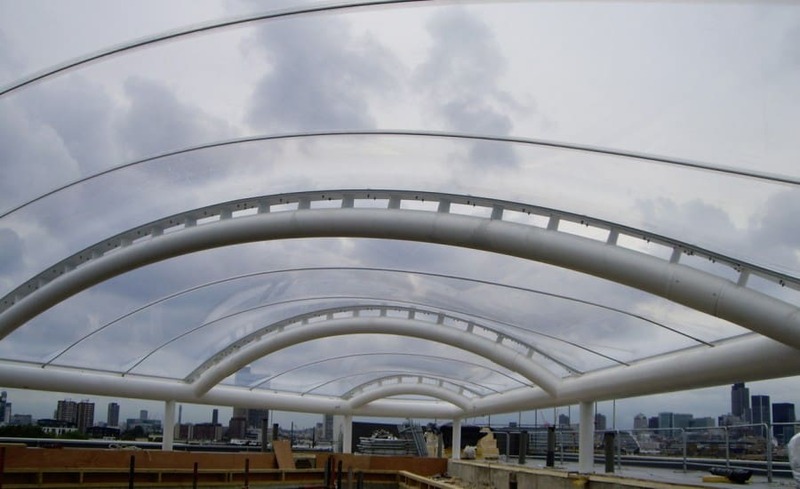 As expert ETFE contractors, and having an established relationship with Levitt Bernstein, Architen Landrell was pleased to offer any ETFE design advice during the early, critical stages. 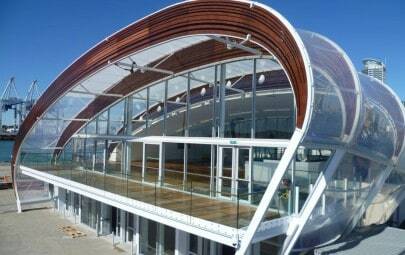 Sales and Marketing Manager Amy Wilson comments ” in any ETFE scheme, whether it is single ply ETFE foil or a multi-layer ETFE cushion roof, its important that the ETFE contractor is involved as early as possible. 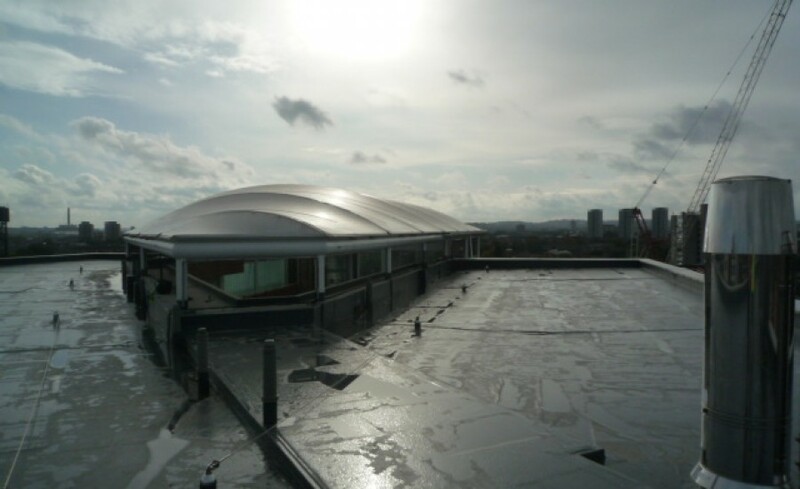 Information on the loads imposed on the supporting structure and what is and isnt possible with ETFE foil can be critical to the design of the ETFE roof, particularly if a designer hasnt worked with ETFE foil before. With clients like Levitt Bernstein, well always do our best to provide as much information as possible to make the design process straightforward”. 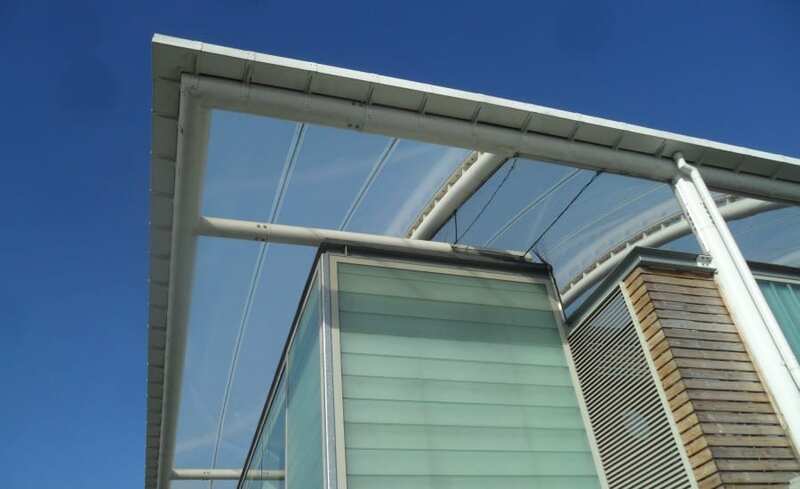 With this philosophy at the forefront, Architen Landrell worked alongside Levitt Bernstein to design a ninebay single ply ETFE foil roof with transverse cable support which fixed onto the CHS arch and perimeter structural steelwork frame. The simple form was created through a series of barrel vaults; symmetrical bays for the main section then offset tapering down to point to mirror the shape of the building. 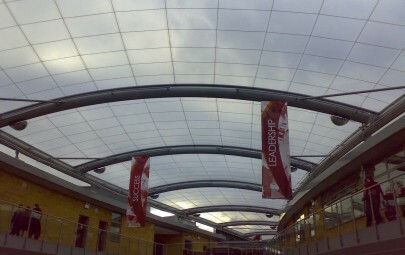 The ETFE roof not only makes the atrium space weather tight and therefore usable all year round, but it also allows maximum light levels to flood the 8 storey buildings below. The 98% light transmission of a single ply ETFE roof meant that enough UV light would reach the ground to ensure that plants could still thrive. 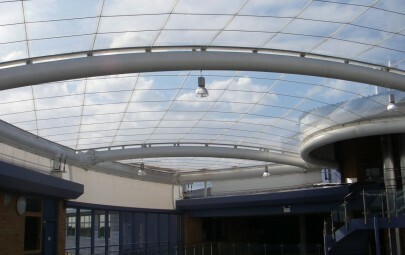 In addition, the ETFE foil and its relatively lightweight supporting steel structure imposed considerably reduced loads onto the main building in comparison with a traditional glass roof. 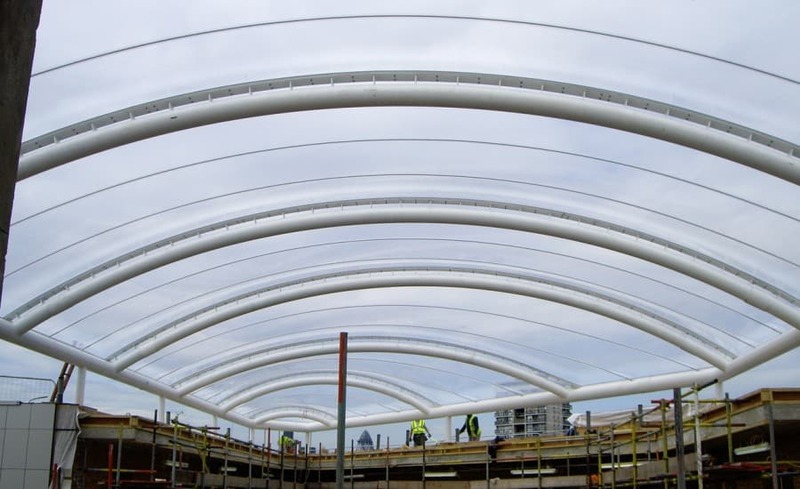 Located in a busy area close to primary London rail links and stretching far higher than many of the installations we carry out, the erection of the ETFE foil roof required careful planning and liaison with main contractors Rooff and withNetwork Rail for the installation of the supporting steelwork. Senior Project Manager Adam Hall says due to height of building andneighbouring structures and close proximity to Network rail lines, a railway cherry picker was not an access option for the installation of the ETFE membrane. As a result all installation had to be via working nets installed by rope access techniques. Our expert rope access team was well prepared for the complex installation process and our client was very happy that the difficult installation was completed as per programme.